Premium quality vegetable natural leather with natural grain. ● Premium quality vegetable natural leather with natural grain. The color will darken naturally to light after use day by day. ● 100% hand-crafted, Hand-sewn with waxed thread, and edges are carefully polished by hand. ● Perfectly fits your iPad (you may let us know your iPad version in the order note) ● We can help put your initials/ names on the case for free. Please let us know which type of fonts and the position you want (Type A: 3x3mm, all capitals; Type B: 6x6mm, both lower case and upper case; Type C: 6x6 mm) https://www.earthyleather.com/IMAGE/Stamping.jpg Please note that we use vegetable tanned leather, which have following feature: 1. 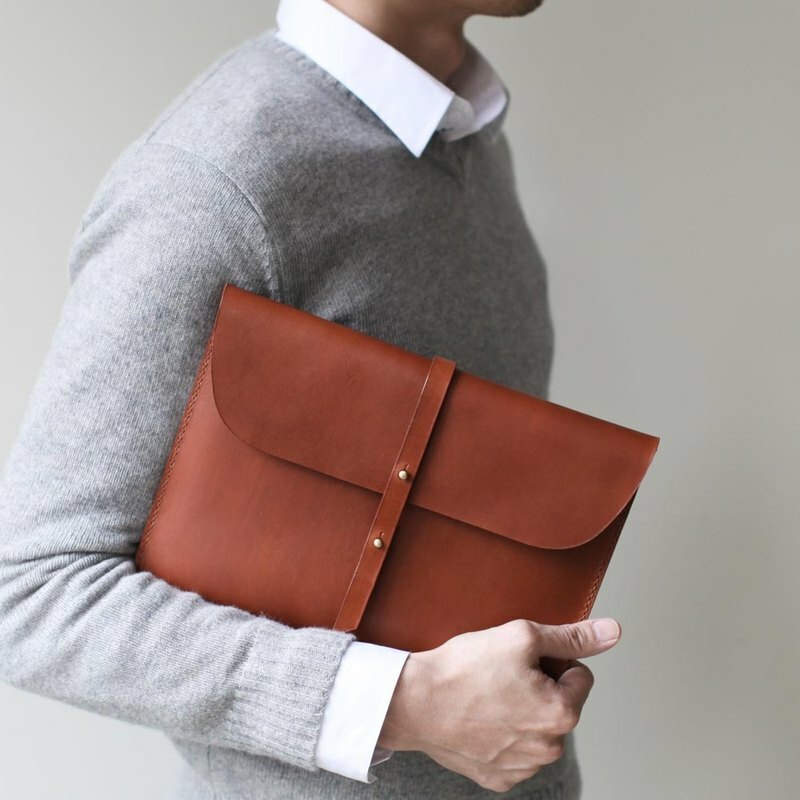 New vegetable tanned leather product could be a bit stiff, but it gets softer after use. 2. Vegetable tanning is environmentally friendly and due to the natural tannins used,the leather products are unique and have their own life, and it will change for the better developing a patina over time. All products are handmade in Taiwan, by our in-house designers.